Get ready for some edge! This mix, which was a bear to sequence, takes a look at some of the edgiest music of the year coming from the Punk, Post-Punk, and Goth genres. Almost equally divided between male and female artists, an interesting dichotomy emerges over how each gender chooses to confront their audiences, with the men favoring volume, anger, shock-value, and aggression, while the women gravitate towards more subtly applied but equally unnerving approaches. And while this is far from the easiest listen in our 2017 collection, some of the most compelling and thought-provoking music of the year is included here, so I hope you'll take a listen. 1. 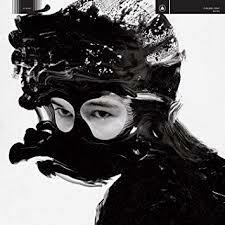 Half Life - Zola Jesus: Though the emphasis on this mix is clearly on jarring, aggressive, political songwriting, we start off on an epic, soul-cleansing spiritual note instead from Arizona Goth-Industrial veteran Zola Jesus's (aka. Nicole Hummel) fifth studio release Okovi. 2. Mother - IDLES: Two months ago, in my write up on Heal/Heel for our Vol 1 - Best Of The Best, I said watch out for Idles. Now mid-November, with the British punk band's 2018 release Joy As An Act Of Resistance still the best-reviewed album of the year, I'm going to double down on that statement. 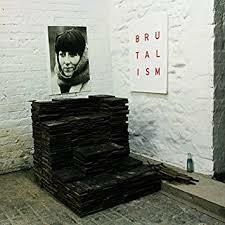 Idles IS the punk band of the moment, and as much attention as Joy is getting, I'm not sure 2017's Brutalism wasn't better. This song highlights the band's in-your-face style, taking on the male-dominated British class system for the way it blindly devours the nation's working-class mothers. 3. Male Plague - Protomartyr: Rating right behind Idles Brutalism for best punk/post-punk album of 2017 was Protomartyr's fourth release Relatives In Descent. As always Joe Casey's lyrics were awesome, his delivery forceful, and his voice an acquired taste, but what really stood out in Relatives was Greg Ahee's ceaselessly inventive, icy, Joy Division-inspired guitar parts. And another fascinating thing about this new generation of male punk acts; their deep commitment to feminist causes. Case in point, Male Plague here, an absolute badass scorcher and a potential future #MeToo movement anthem. 4. Jj - Priests: Jj is my favorite cut from Nothing Feels Natural, the celebrated full-length debut of ultra-committed Washington D.C. post-punkers Priests, who in addition to handling their own career run and own Sister Polygon Records, a DIY label that has helped launch other non-mainstream acts like Downtown Boys and Snail Mail. 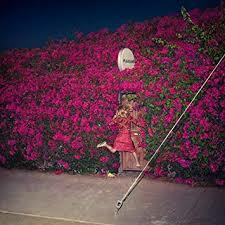 Oh, and they put on one of the very best sets I caught at Coachella last spring. This band has serious passion. 5. 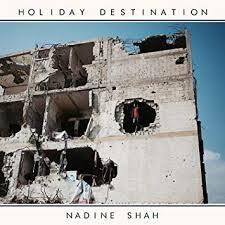 Place Like This - Nadine Shah: On her third full-length release Holiday Destination, Norwegian/Pakistani Brit Shah turns her attention and husky voice to some of the biggest issues of the day - the Syrian refuge crisis, Islamophobia, political fear mongering - leading to one of the most compassionate and urgent political albums of 2017. 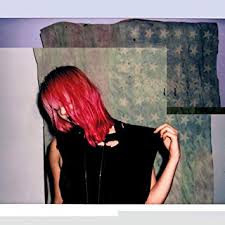 We'll be featuring two tracks from the album, starting with her haunting, displaced child's-eye view of the refugee crisis here, but I encourage anyone with a taste for smart political music set to slithery Siouxsie-styled post-punk grooves to check out the album in full. Shah has a real talent for making her points in a way that disarms those that may disagree with her rather than turning them defensive. 6. Priestess - Pumarosa: Whatever they may lack in lyrical sophistication compared to their peers on this mix (and they are definitely lacking in lyrical sophistication compared to their peers on this mix), England's Pumarosa more than make up for that shortcoming with their fabulous command of sonics, making 2017 release The Witch my second favorite art-rock listen of the year after Wolf Parade's Cry Cry Cry. Seriously, when it comes to finding that perfect, unanticipated instrumental flourish, this band just has it. 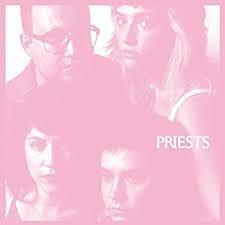 Check out the way the baritone sax drones its way into the trancey mix of Priestess here just before the song's 4:30 mark and turns its final three minutes into one of the best wind downs of the year. Gets me every time. 7. 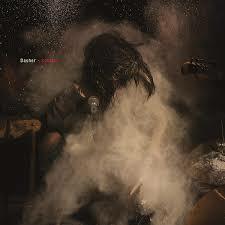 Go Rambo - Dasher: Just an awesome, kinda silly, thrashing punk number from Atlanta-based noise rock outfit Dasher and their 2017 full-length Sodium. 8. 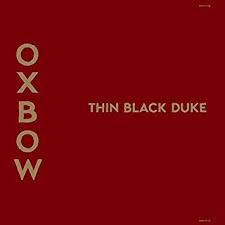 Host - Oxbow: Thin Black Duke was the first release in ten years from San Francisco's legendary underground experimental punk band Oxbow. If this song and album are indicative of how much gas the now thirty-years-running multi-racial outfit still has left in its tank, I hope they don't keep us waiting so long for the next one. 9. 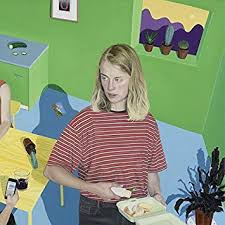 Eastbound Train - Marika Hackman: Relationship-oriented albums are a dime-a-dozen, and don't normally attracted a ton of attention, but British nu-folker Hackman's second-full length I'm Not Your Man - a pointed collection of highly melodic, at times punkish tunes made in conjunction with the female London quarter The Big Moon - put such a distinct contemporary LBGTQ spin on her songs of love won and lost that it did attract critical attention, lots, and became a regular on 2017's best albums of the year lists. 10. Pleasure - Fiest: Yes, this is the same Fiest of Broken Social Scene and 1-2-3-4 iPod commercials soft-rock fame, landing a spot on the edgiest mix of our 2017 collection. But you won't question her inclusion after you take a listen to the title track from her rhythmically jarring 2017 release Pleasure profiled here. 11. 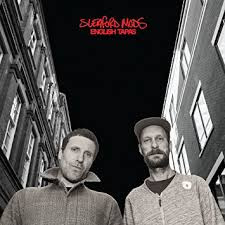 I Feel So Wrong - Sleaford Mods: And now, another lovely ditty from England's grooviest spoken-word ranters, taken from their 2017 release English Tapas. 12. 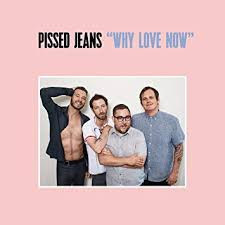 I'm A Man - Pissed Jeans: All right, ladies, if your not in a humorous mood, this song might, Short People-style, seriously piss you off. Just know that yes, no matter how crude it gets, I'm A Man from Philly-based punk-act Pissed Jean's masculinity skewering 2017 release Why Love Now is intended as a slam, not an endorsement, of the behavior it profiles, and its signature vocal part is actually performed by a female guest vocalist, novelist Lindsay Hunter. 13. Down And Out - EMA: As is probably obvious by now, PJ Harvey has had tremendous influence on most of the female artists on this mix. Probably none more so than this artist here. We've featured EMA (aka Erika M. Anderson) several times through the years. I think she's one of the very best and most talented of this era's new crop of confrontational singer-songwriters following Polly Jean's lead, and matters proved no different on her insightful third studio release Exile In The Outer Ring, which saw her returning to her native South Dakota and taking a deep, highly empathetic look at the brutal sociological forces behind her rural childhood home's deep embrace of the present populist/nationalist movement. 14. Helen In The Woods - TORRES: On most of her third album Three Futures, Torres, (aka Macon, Georgia-native Mackenzie Scott) is focused on issues of physical body politics (case in point, her blatant man-spreading on the album's cover), but here, she turns her attention to the double-standard applied to the male and female versions of romantic pursuit, comically exaggerating young Helen here from a simple school girl with a crush she can't let go to a Frankenstein-level stalker terrifying an entire town. 15. 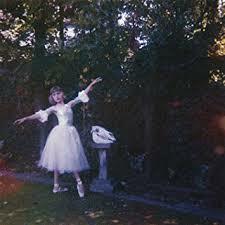 Formidable Cool - Wolf Alice: This song, with its heavy bass-line, whispered vocals, and free-for-all end is exactly as its title suggests. Our second inclusion from Wolf Alice's 2017 sophomore effort Visions Of A Life. 16. Exeter - IDLES: Whenever someone says ,"Why do we need more female leaders?" my first thought is always "Because when women feel powerless, they seek connection and solace with others; when men feel powerless, they destroy." This frightening Brutalism song, armed with one of the best and most troubling third verses of 2017, cuts right to the heart of this male-impotence truism as it places the blame for England's bar-fight culture directly in the hands of their rigid class system that leaves too many of their male youths with too few options and little else to do. 17. Relief - Nadine Shah: Though another very pointed political number from Holiday Destination - where Muslim Shah suggests the commuter bus she rides home each evening is her one safe haven from anti-muslim vitriol, not because she's particularly welcome, but merely because the other riders are too exhausted from their work day at that moment in the day to serve any up - I included Relief here mostly because it's the album's best showcase of Shah's wonderful low-register voice. 18. 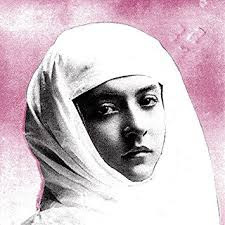 Don't Go To Anacita - Protomartyr: Here's the most pop-friendly track from the Detroit post-punker's otherwise decidedly un-pop-friendly Relatives In Descent. 20. 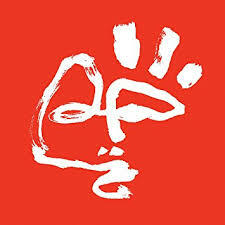 My Gruesome Loving Friend - Pumarosa: After all the edginess, thought it would be nice to go out on a lighter note (song title-excepted), with this more pop-oriented but awesomely anthemic closer from Pumarosa's The Witch.